Love these filters. A cost effective, simple and easy to clean unit. 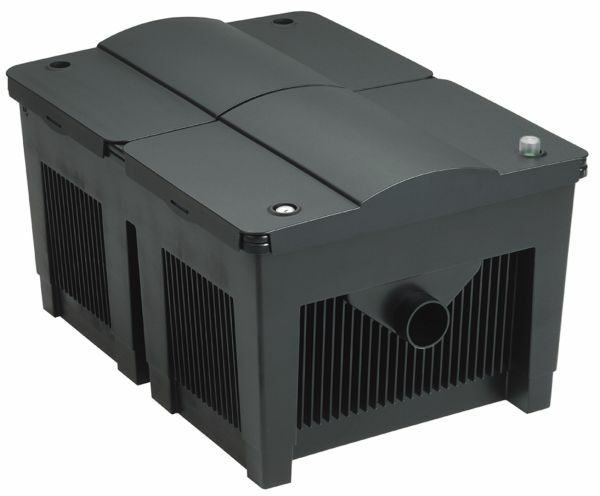 Effective self-cleaning Ultraviolet Clarifier (UVC) technology fitted to the Biosmart 7000 & Biosmart 14000 filters, safely eliminates algae and pathogens. Easy-clean function of distinctive Oase filter foams without removal from filter housing completed in minutes. Integrated sludge drain fitted to the Biosmart 18000 & 36000 filter for easy removal of debris when cleaning. Convenient monitoring of filter status with integral pollution level indicator and temperature gauge. 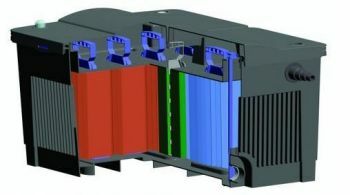 Integrated UVC Technology The integrated ultraviolet clarifier (UVC) ensures safe elimination of algae and pathogens on the Biosmart 7000 & 14000 filter models. Easy to read temperature gauge. 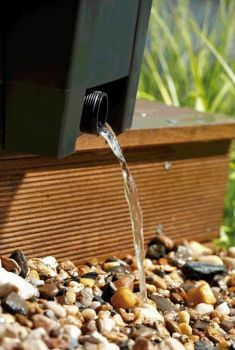 Recommended pond volumes with filter outlet located at 50cms above pond water level and with 5 metres of 1 1/2" diameter hose between pump and outlet. Pond volumes below are achieved when the filter is fitted with the recommended Ultraviolet Clarifier (UVC). Also performance figures given with an optional OASE OxyTex Aerator Set installed. Pond Turnover Rates: The pond stocking levels will determine the required turnover rate which in turn determines the required pump flow rate. Typically, an ornamental pond without any fish will require the pond volume to be circulated at least once every 6 hours; an average stocked pond (with up to 1 kg of fish for every 1000 litres) will require circulating once every 4 hours; a heavily stocked pond including Koi (with up to 3 kg of fish for every 1000 litres) will require circulating once every 2 hours. Pump Flow Rate: The pump flow rate, typically in litres per hour (lph) or litres per minute (lpm) is determined by the vertical lift, in metres, from the surface of the pond to the outlet pipe AND by the friction losses through the system. The narrower the pipe bore the higher the friction losses, so always use the maximum hose diameter. 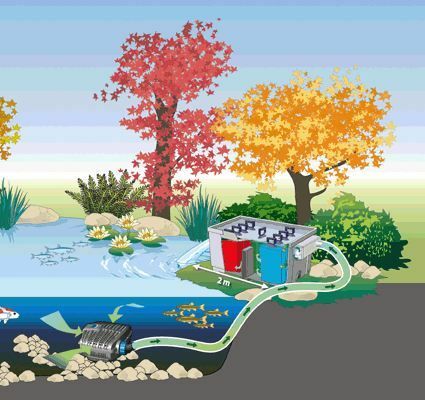 Effect of raising the filter outlet: Raising the filter outlet pipe height, typically for a watercourse or waterfall, will reduce the flow rate from the pump thereby increasing the amount of time it takes to circulate the dirty pond water through the filter. This effectively reduces the maximum pond volume that the filter system can cope with and may mean you will require a larger pump. Please contact us and we would be happy to advise you. Dissolved oxygen (DO) is a major contributor to water quality. Installing an optimally sized OASE OxyTex Aerator Set will substantially improve water quality and fish and can improve filter performance by up to 25%. See the chart above for improvements in pond volume. The importance of regular maintenance (cleaning): High flow rate = effective filtering. As the filter media (e.g. foams) remove dirt and waste from the pond, so the friction loss across the foams will increase, thereby reducing the flow rate and the effective performance of the filter. It is therefore essential to keep the filter foams clean.